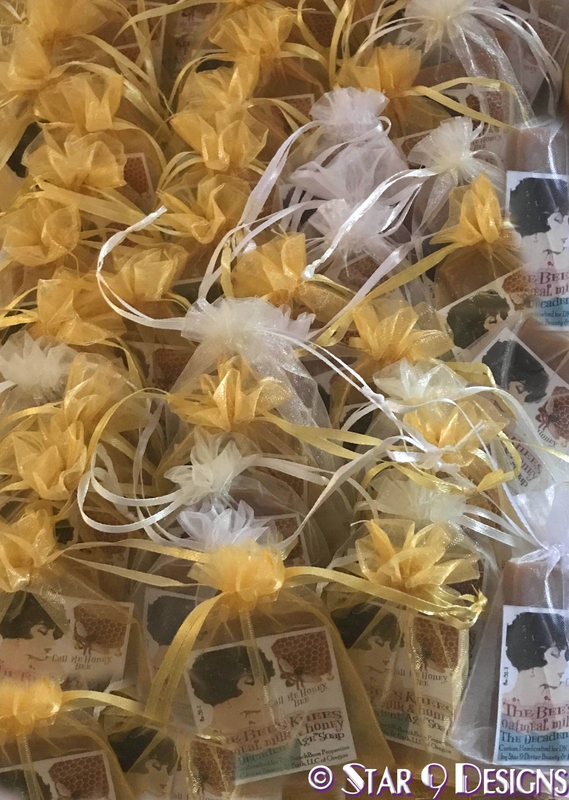 Perfect for Your Bed & Breakfast, Air BnB, Resort, Hotel, Boarding House, Guest House or Event Favors! THE BEE’S KNEES from The Decadent Age™ Evocative & Sensory Line with Organic Goat’s Milk, Raw Beeswax & Organic Oatmeal is Scented in our Most Popular Oatmeal, Milk & Honey … A Perfect Sweet and Toasty Blend of Fresh Almonds, Oatmeal and Honey with Creamy Milk. 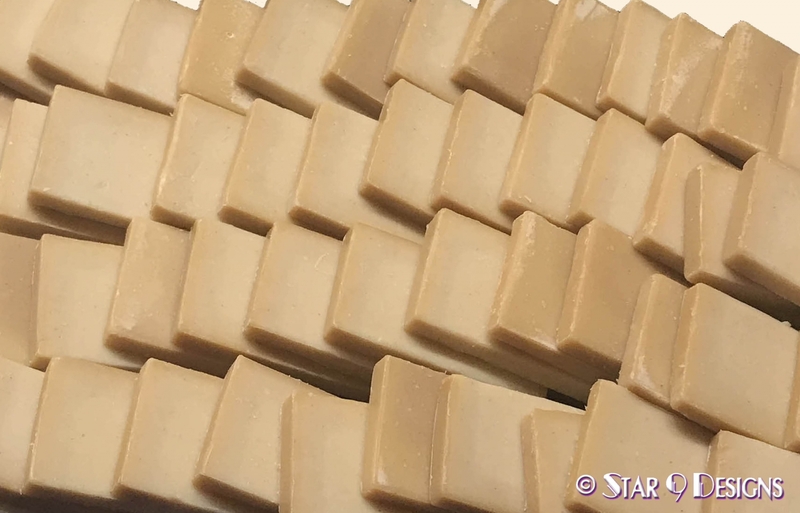 Our Rustic Hand Cut Bars are made in Small Batches with the Finest Ingredients, and Packaged in Organza Bags with a Beautiful Label by Star 9 Designs displaying your business name. LEAD TIME IS 4 TO 5 WEEKS TO ALLOW YOUR SOAP TO PROPERLY CURE. also with water, sodium hydroxide, premium phthalate-free fragrance, sugar alcohol, sea salt, silk. Net wt at least 3 lbs (48 oz) – about 60-65 hand cut bars. A Complete List of Ingredients is provided with every order (Photos are representative only - glamour filter applied to photo #2). DOUBLE YOUR ORDER FOR FREE PRIORITY SHIPPING!